Today, while government leaders convene from across the world at the Global Climate Action Summit, the United States Environmental Protection Agency released their plan to weaken critical methane pollution protections. Last summer we went to D.C. to comment on the EPA’s two year suspension of the rule. Today we’re still fighting for these common sense climate, health, and economy protections. We’re still able to fight because of the work you and thousands of others have already done. There will be yet another comment period, we need you submit yours. As soon as the proposal is officially published we’ll send you talking points and instructions. Make sure you’re on our email list so you don’t miss the call to action. “I want to ask Acting Administrator Wheeler, man-to-man, why he is proposing to come on to my ranch and harm my grandchildren. EPA has the studies that show how kids suffer the most from methane pollution, and the toxic chemicals that go with it. Landowners and their families all across America will suffer when the New Source Performance Standards are weakened, and I think he needs to answer each one of us. It is morally outrageous that a former Washington energy lobbyist is about to put the health of our children at risk, exactly the opposite of what EPA is supposed to do.” Don Schreiber, vivarioarriba@gmail.com, 505-320-0032, Rancher in the Four Corners Area with 122 natural gas wells on his ranch and thousands nearby. 20 years struggling to keep kids and land healthy. “Navajo communities are already overburdened with over 40,000 existing oil and gas wells that surround their communities in northwest New Mexico, and new industrialized fracking now threatens more than 55,000 acres slated for sacrifice this December. We already suffer from exposure to noxious odors, and an EPA rollback on the new source standards for the oil and gas industry will only make our communities unlivable.” Carol Davis, caroljdavis.2004@gmail.com, (928) 679-5045, Diné Citizens Against Ruining our Environment, Coordinator. “As religious leaders, it is our responsibility to care for our land, water and air and to protect the health of our communities, and especially the children. The EPA methane-waste rule addresses a large stewardship concern by preventing pollution that impacts children and the elderly and in New Mexico could capture around $250 million in royalties for our education and other needs. These rules can be viewed within the Jewish concept, Tikkun Olam, defined by acts to repair the world. People of faith believe we need to address concerns of health, life, children and our communities for healing.” Sr. Joan Brown,osf, Exec. Director, NM Interfaith Power & Light, joankansas@swcp.com, 505.266.6966. 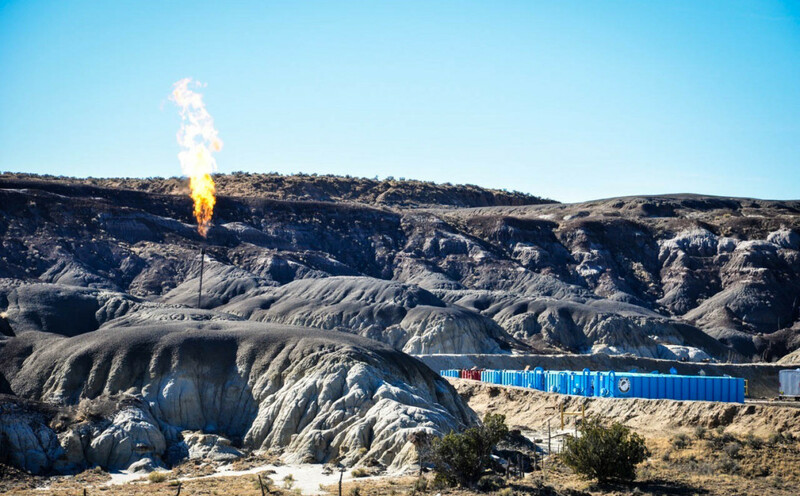 “New Mexicans know the oil and gas industry contributes to our economy, but in poll after poll we know that citizens of our state support the safeguards that are designed to keep us safe from the pollution associated with extraction industries. These rollbacks at the federal level clearly highlight the need for our state government to step up and ensure our citizens are safe and getting their money’s worth from NMOGA’s members. Millions of dollars are wasted that should be coming back to the state, and these rollbacks mean even more lost revenue for New Mexico.” Lucas Herndon, lucas@progressnownm.org, 575-496-6645, ProgressNow New Mexico, Political Director.